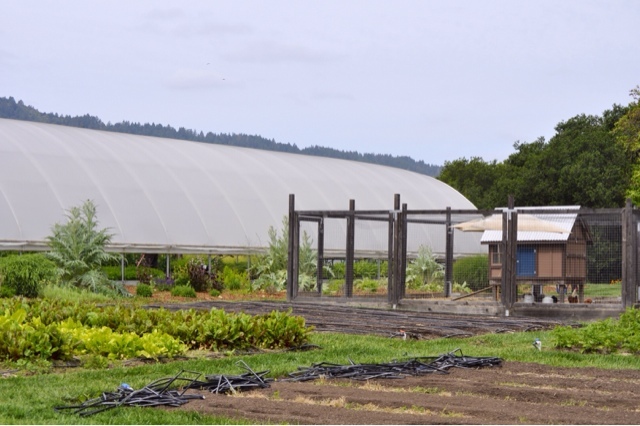 Have you ever been to Napa Valley? Dave and I went for our honeymoon eight years ago. We didn't know anything about wine, but wanted to learn. We so enjoyed the beauty of the countryside and enjoyed the wineries. Today our palettes have changed and we love pairing a great meal with the perfect wine. Traveling to South France last fall reminded us of Napa Valley. 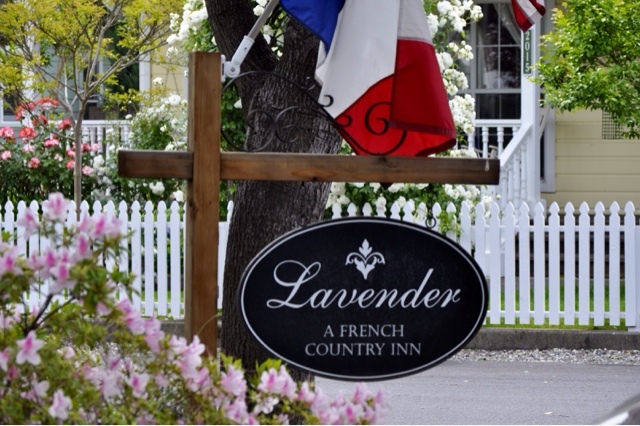 We stayed in Yountville at the Lavender's B&B. 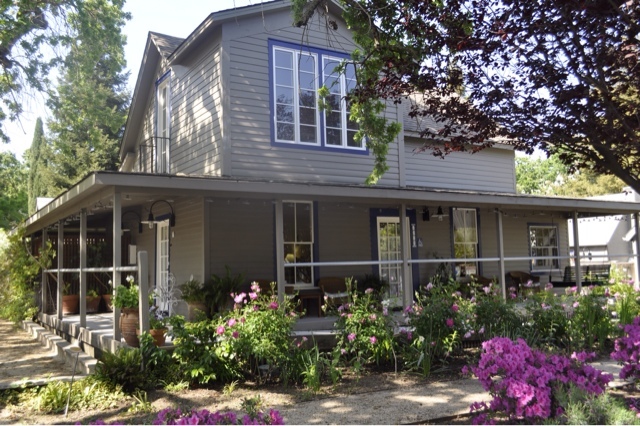 Yountville is located in the heart of the Valley, we traveled around Napa and Sonoma Valley. 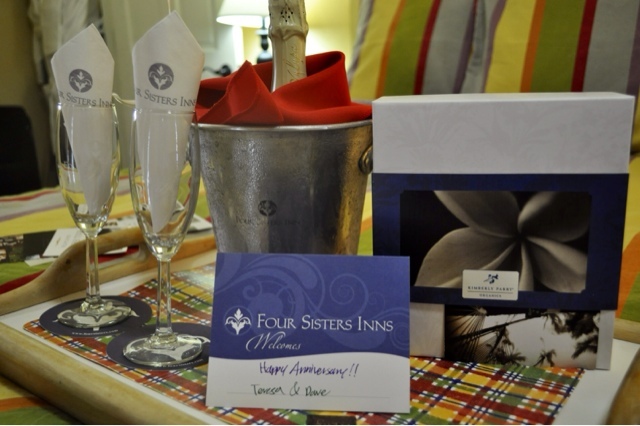 An adorable cottage style charm made this a wonderful stay. Located on a quiet, adorable residential block, the tree lined streets and the manicured lawns immediately drew us in. It's all out of a fairy tale..the Napa kind. 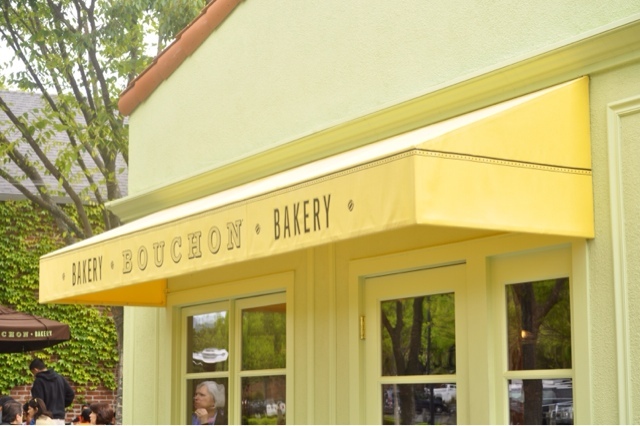 Yountville is full of world famous resturants. 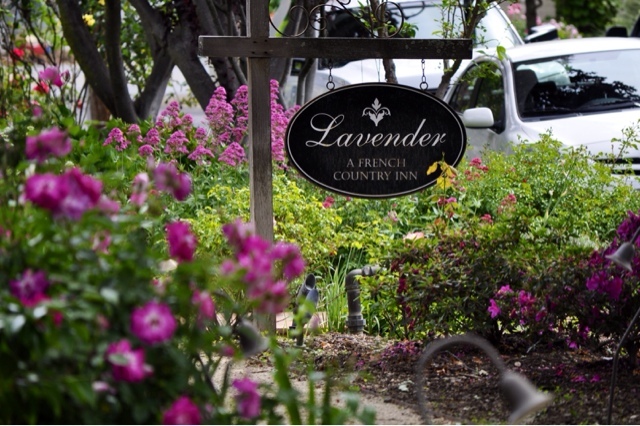 All within walking distance of the Lavenders B&B. 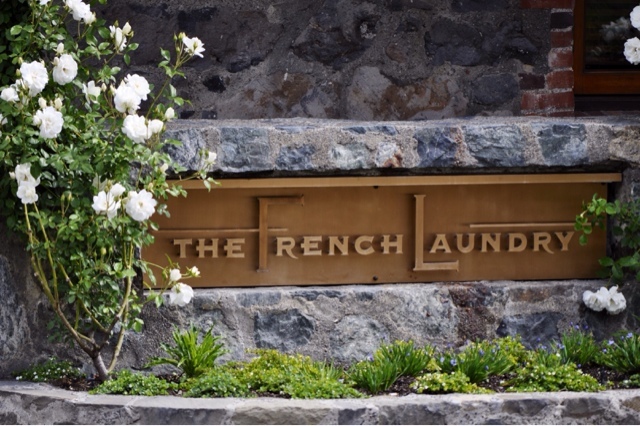 One of the top 3 restaurants in the world, The French Laundry should be on your bucket list, if you are truly a food and wine lover.Everything here is exquisite, the food is amazing, the wine is awesome and the service is impeccable. I love the fact that it had its own garden and chicken house. Amazing. The town is small but packed with some of the best restaurants that you will find in the United States. 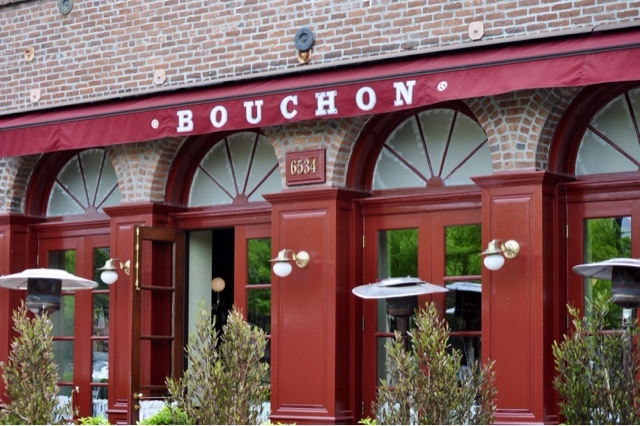 Bouchon, Redd, Bistro Jeanty, Bottega, Ad Hoc, the list goes on...The town is basically one mile long so you can walk anywhere you want to go. The bakery was one of my favorites. I have never seen anything like this since France. 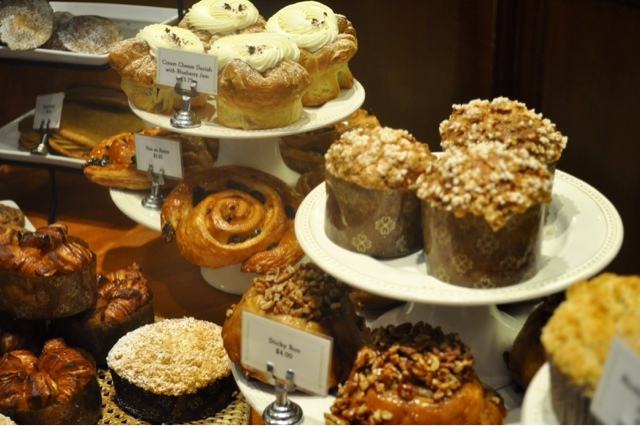 All the beautiful baked breads and pastries. Everyday you would see people lined up to get inside. It is worth the wait to stand in line!